The local Authority's Planning Committee approved by 10 votes to 8, plans to build 1,800 new homes, a school and a health centre at Dunsfold Aerodrome when they met on Wednesday 14th December 2016. The developers have to satisfy some conditions, such as the improvement of local roads and the provision of a bus service, sports facilities and open spaces. This was the second planning application in less than a decade, by Dunsfold Airport Ltd., the owners of Dunsfold Park. A proposal to build 2,600 homes on the same site was rejected by the same planning authority in 2008 and the rejection was supported by the government in 2009 following an appeal by the owners. The latest proposal addresses some of the issues with the earlier plan, reducing the number of houses and providing better transport and health facilities, cited as some of the reasons for refusal last time. The airfield was involved in the development of the Harrier, Hawk, Hunter and other aircraft when it was owned by Hawker Aircraft Company Ltd (now part of BAE systems). It is private unlicensed airfield but is still used by the service aircraft. The Chinook can often be seen practicing and other visitors are not uncommon. In December 2015 the local planning authority, Waverley Borough Council, published these revised proposals to build a 'settlement' of 1,800 houses, schools, community and health centres, recreational facilities and ancillary service buildings on the site, currently occupied by Dunsfold Business Park, home to around 100 businesses. In the meantime there has been consultation with local households and businesses and opposition from 'Protect Our Waverley'. The proposals would not necessarily mean the end of all the existing buildings: they make provision for retail, offices, industry and research and development, partly in existing and partly in new buildings. But there is no mention of the aerodrome, or of anything specifically connected to aviation, except 'the removal of three runways'. Despite the decision to develop the aerodrome, the preparatory stages will take quite a while. Wings and Wheels will not be affected for some time. For over a decade the site has hosted Dunsfold Wings and Wheels. 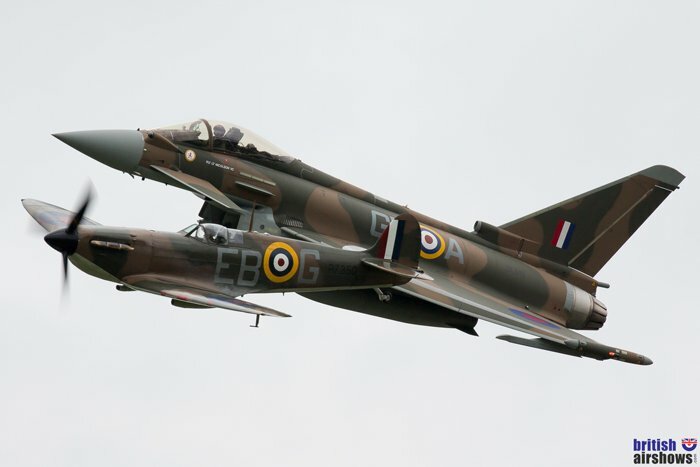 The airshow offers excellent flying mixed with classic civilian and military vehicles, a superb ground show, re-enactors, plenty of trade and amusement stands and a static aircraft display. Over that time Dunsfold has grown not only in age but also in popularity, becoming one of the show circuit favourites. Progress of the proposal would put an end to Dunsfold Wings and Wheels, currently enjoyed over two days of the August Bank Holiday period. More details have been published by BBC News. You can also see our preview of the 2018 Wings and Wheels and review of the 2017 and 2016 airshows.